OK, I've got to back up a few days, to give you the highlights of the rest of my time in Germany. 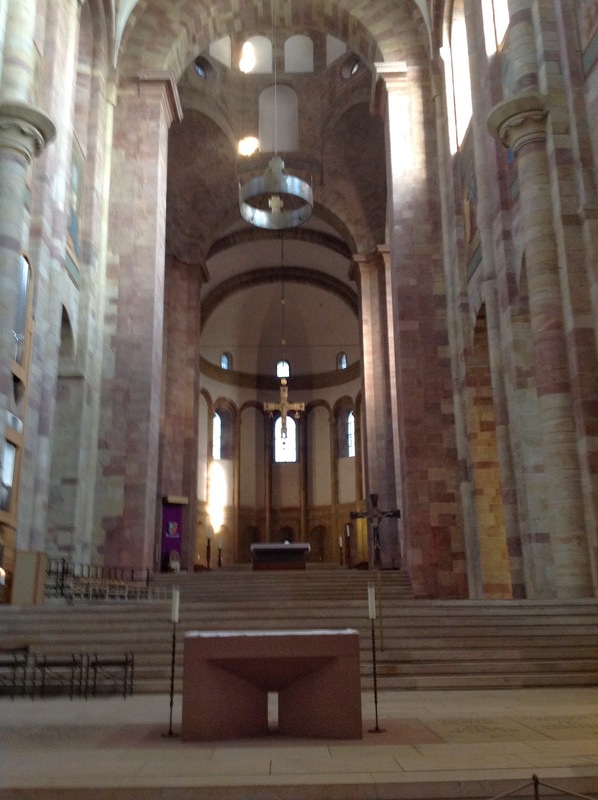 After my visit to Dachau, I was going to see some sights in Munich, but I was wrecked, so I just went back to my hotel. The next day, I had a bit of driving to do. 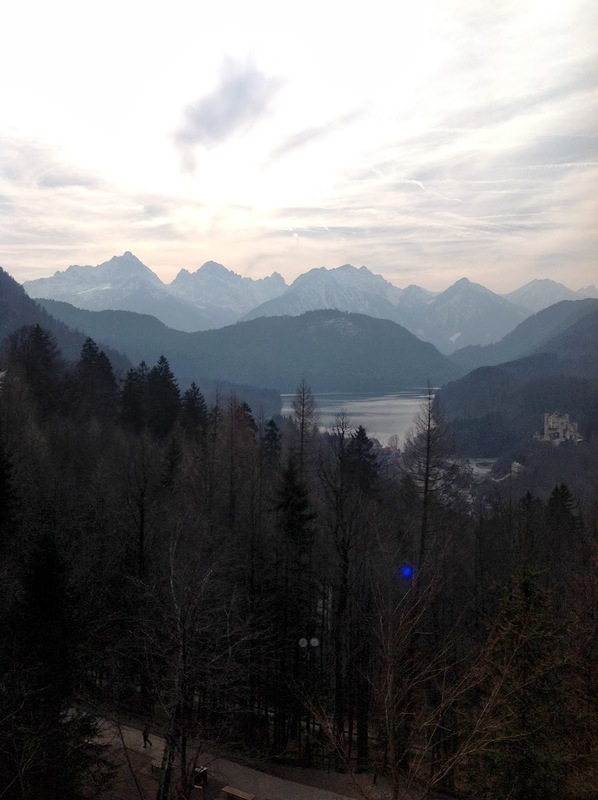 First down to the south side of Bavaria, near the Austrian border, where I was planning to visit a castle. 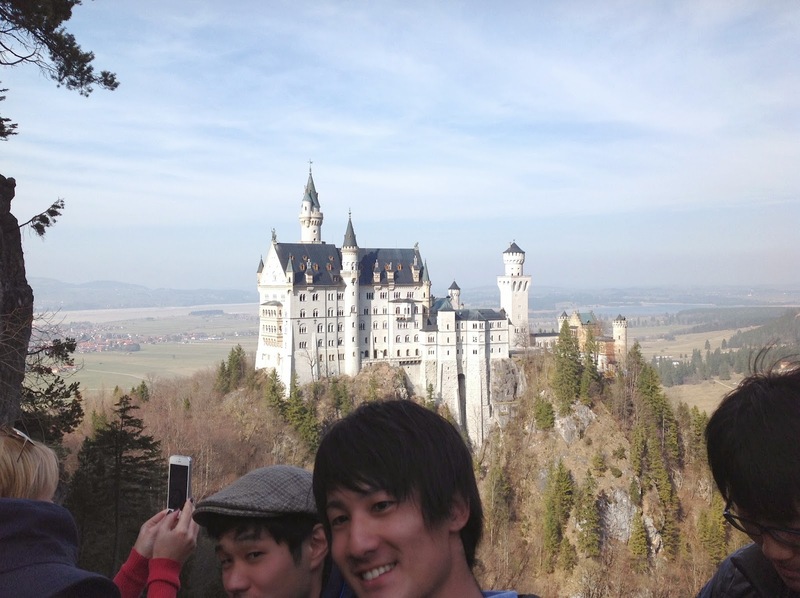 (There are lots of castles in Germany; apparently, this is the one to see. Back to that in a moment.) Then, from there, I was driving northwest toward Rhineland, where I was planning to visit the city where the Foxes may have come from. So, the castle. 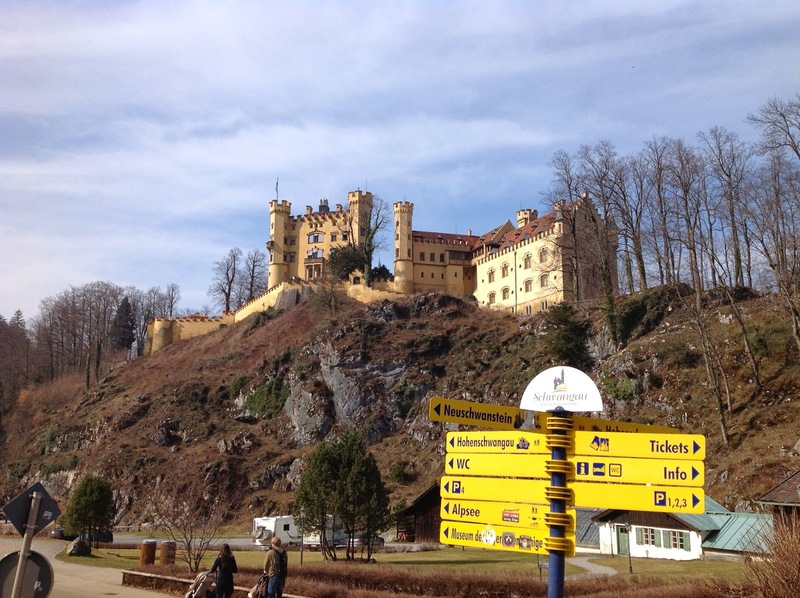 Have you ever heard of "Mad King Ludwig"? While he probably wasn't mad, one reason he was declared insane was the way he spent money on this castle called Neuschwanstein. Here's a Wikipedia article with more information. Now, I hadn't known much about King Ludwig, but his is an interesting, and ultimately, sad story. He seems to have been an eccentric fellow, very much taken with the stories of German myth, especially as presented by Richard Wagner. He also seems to have felt strong homosexual feelings, but it appears he sought, all the same, to be chaste. All this became public fodder when members of his family maneuvered to have him declared unfit to reign; in the process, they gained access to his correspondence and diaries. The effort was successful; and only a day after he was shunted aside, he died under very dodgy circumstances, at the age of 40 -- having lived in his dream castle for only a short time. And his great friend, Wagner, who he hoped would visit him there? He died before Ludwig ever moved in. This shot was taken from the Marianbrucke -- that is, the bridge that spans the nearby stream. The bridge was quite crowded when I took this shot. 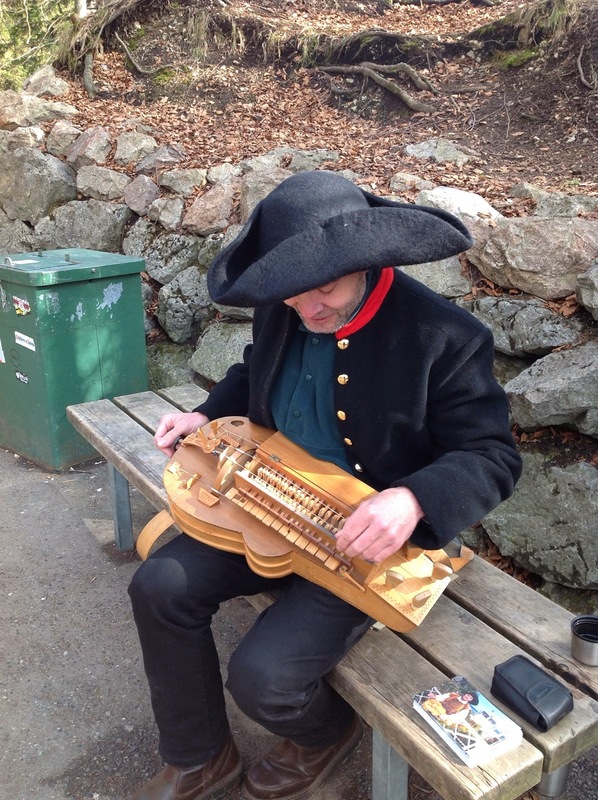 Here's a closer look at the instrument, which he told me is a Hurdy Gurdy, and it originated in the High Middle Ages. The castle was certainly impressive, although I can somewhat understand why the king's advisers and family were alarmed. It is a huge undertaking, and a bit odd. That said, the king's quarters confirm that he was a devout Catholic; his throne room makes clear he saw himself accountable to God, and his bedroom has a lovely chapel included. 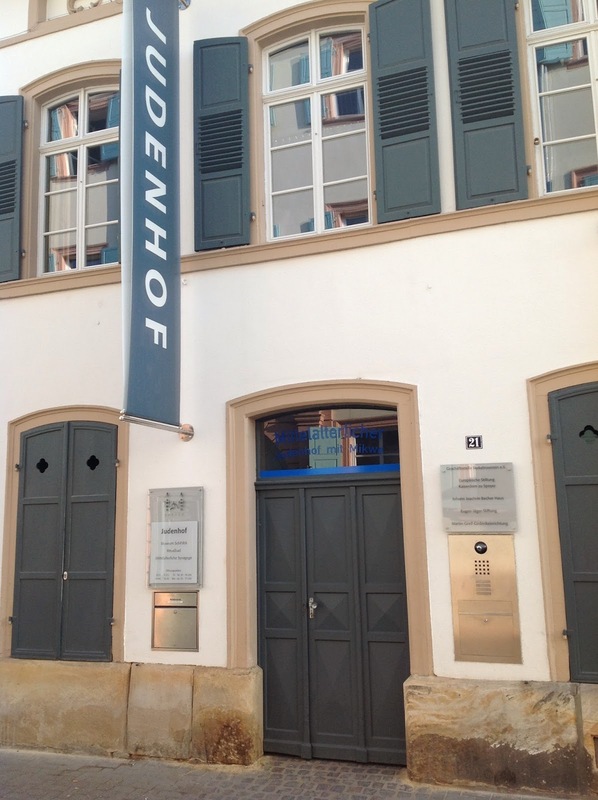 If you read the Wikipedia story, you'll see that the Nazis stowed a good deal of their stolen art and gold here, which was discovered by the Allies at the end of the war. 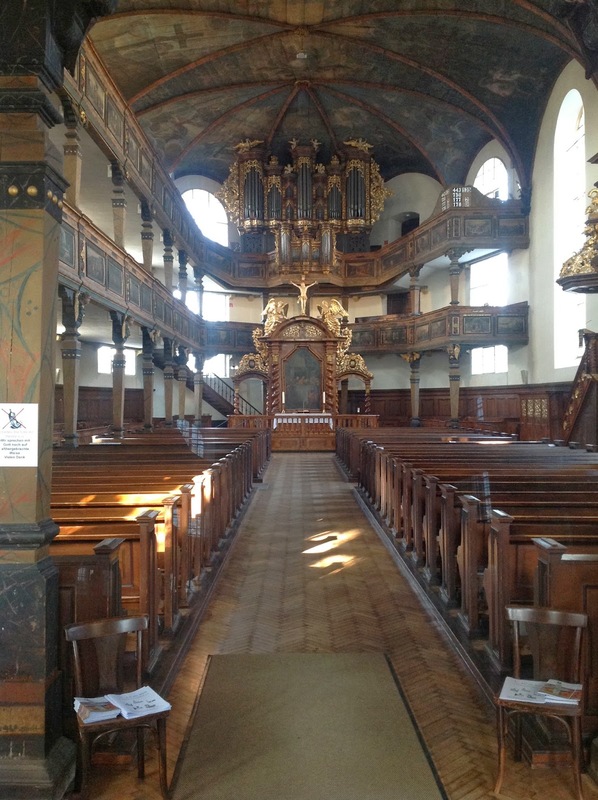 And you'll see pictures of the interior, which really is stunning. After this, I had the idea of driving a mile or so south -- and thus into Austria -- and then looping up to the Rhineland. Well, I followed my plan, but I never saw any sign indicating whether I crossed into the Osterreich. So I can't really claim I made it there -- but maybe I did? 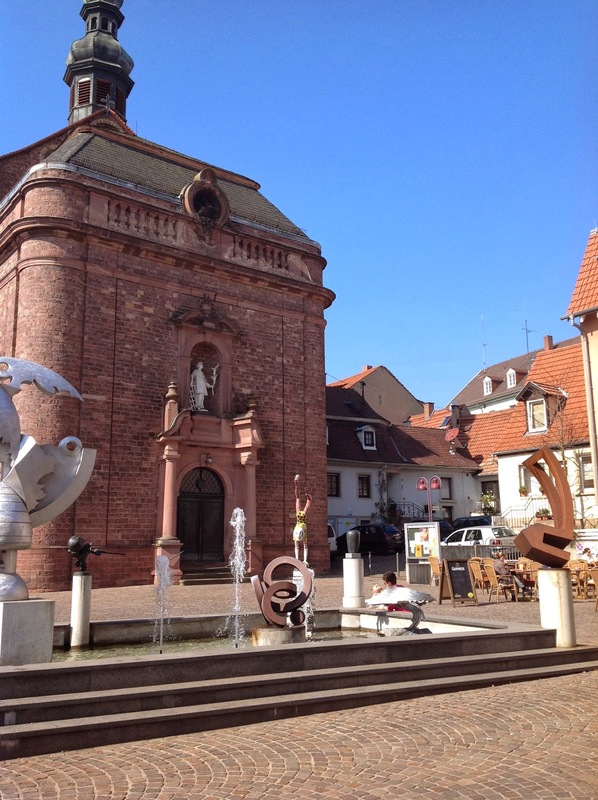 Now we come to the more personal part of my journey, visiting Wiesloch, which information came from my Fuchs ancestors, who came to America in 1740. I didn't have any Fuchs contacts in Wiesloch, but I was curious to see what it was like; and whether I would learn anything that might help me know why the Fuchs came to the New World. And, of course, could I find any definite connection to any Fuchs in the Old World? Well, I won't keep you in suspense. There were no dramatic discoveries. As I knew already, the local histories I looked at in the library confirmed that the area had been caught up in the religious conflicts in the wake of the Protestant movement. 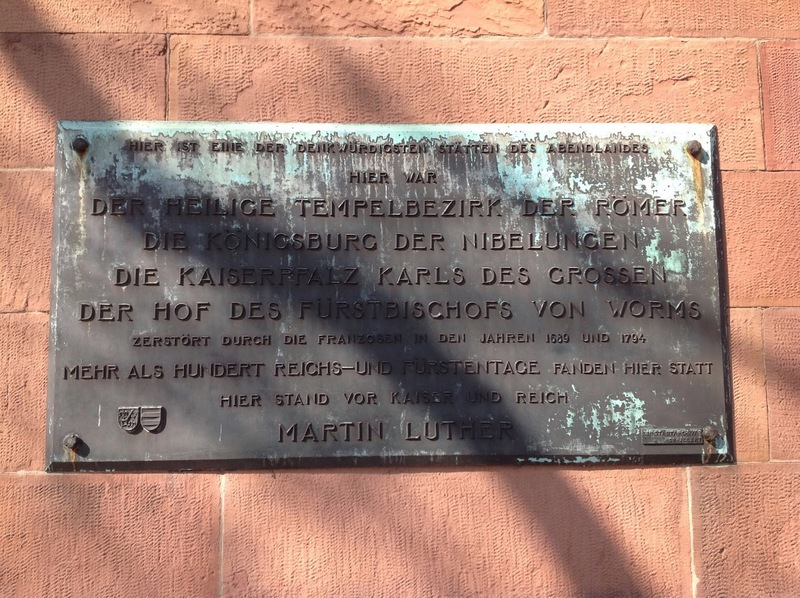 Interestingly, hard by the Rathaus (i.e., town hall) was an Evangelische Kirche. Unfortunately, it was closed; and while I emailed the church, in hopes of talking to someone the next day, I have yet to hear back. 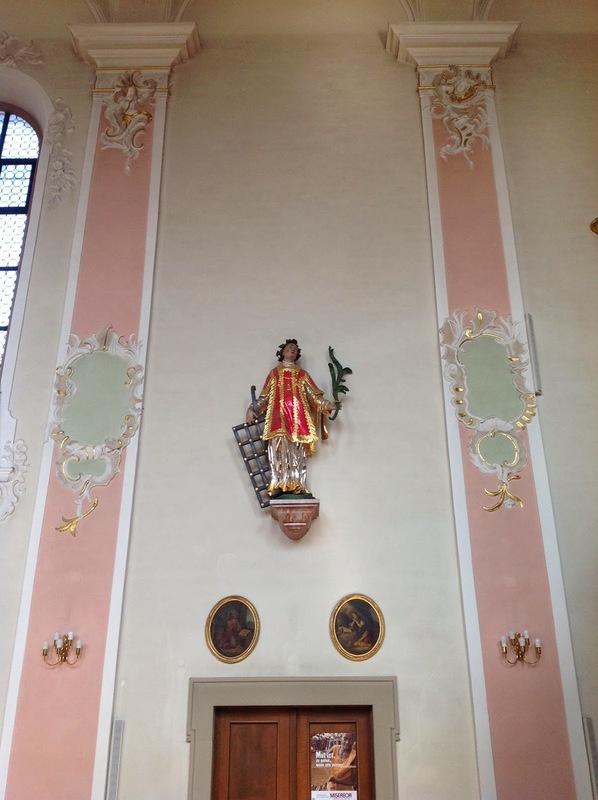 And here's the parish's patron, Saint Lawrence. See the grill? From what I could gather from various things I looked at (some of which was in German, so I didn't get much from that), this area was governed by the Elector of Palatinate -- "elector" meaning he had a vote on who got to be the Holy Roman Emperor. At one time, the Elector was Protestant; but in the late 1600s, a Catholic branch of the family took over -- and that appears to be when this church was erected. Something else interesting happened in this area at the end of the 17th century. It got caught up in one of the tedious wars that the various crowned heads of Europe waged on each other, this one the "Nine Years' War. Short, perhaps, but for the Palatinate, excruciating. Long remembered in Germany was Ezéchiel du Mas, the Comte de Mélac. So awful was the devastation he inflicted, that many Palatines began emigrating to the New World in the early 1700s -- which is precisely what my ancestors did. At the library, I found a book of surnames; I was excited to see this, because it would, perhaps, tell me just how long my ancestors were in this area. Well...not very long, based on the book. There was only one or two preceding my ancestors' time; which could mean the Fuchses weren't here long, or else, there was no record of them (since the book was in German, I couldn't read in the Forward how the information was gathered). But I copied the pages, and when I get home, I can see what I can glean from it. 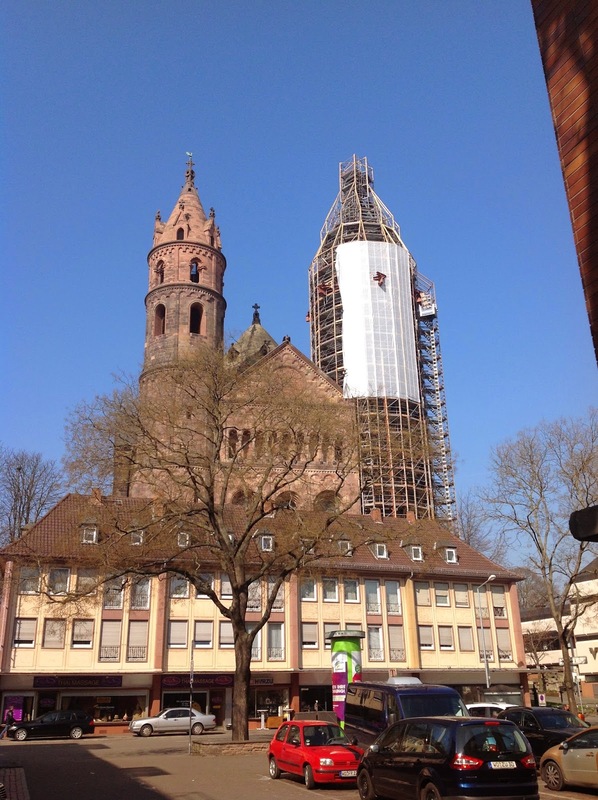 After spending a good portion of the day in Wiesloch, I drove back to my hotel, stopping in Speyer for a visit. When I walked up to the front of the cathedral, everything seemed locked up for the day, so I snapped this shot of Emperor Rudolph. 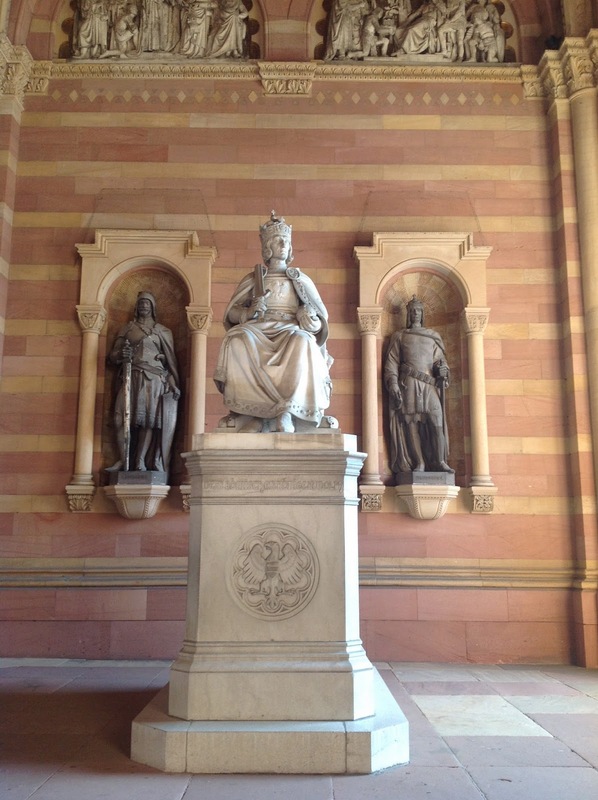 There were a lot of kings commemorated in this foyer, as Speyer had been an imperial city for some time. Circling back to the cathedral, I noticed a bunch of people go in a side door; so I followed them. It was open after all! I'm sorry to say, this was underwhelming. 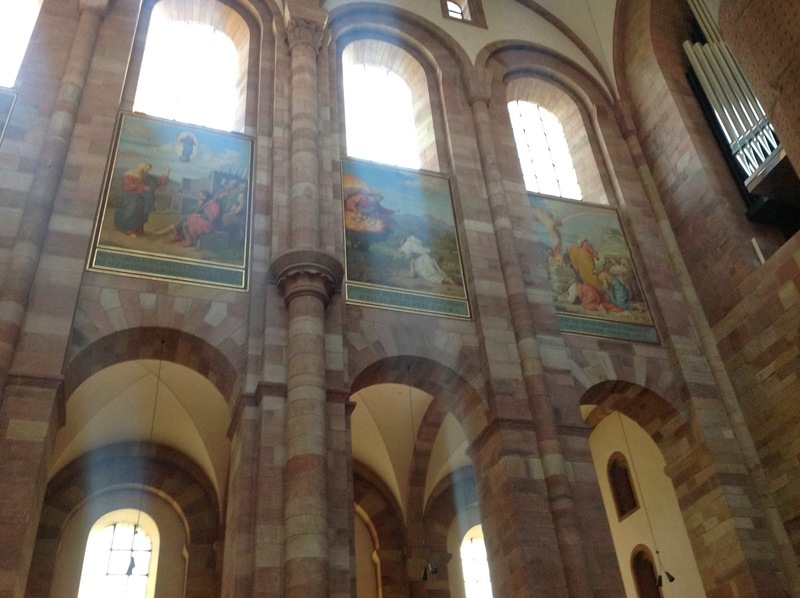 I'd like to say it was because Allied air forces bombed the hell out of the cathedral, but in fact Speyer was spared almost all that -- not so Worms and Mainz, nearby. > It is one of the very oldest cities in Europe, already existing when the Romans came here in 14 BC; Drusus captured it. > It was wrecked by the aforementioned Melac. > It was a center of Jewish life and learning in the Middle Ages. Anyway, here's a view of the cathedral. At least, I'm pretty sure. Here's an interesting plaque on a building near the cathedral. I think it refers to various things that happened in the building. Note the last reference: Martin Luther. 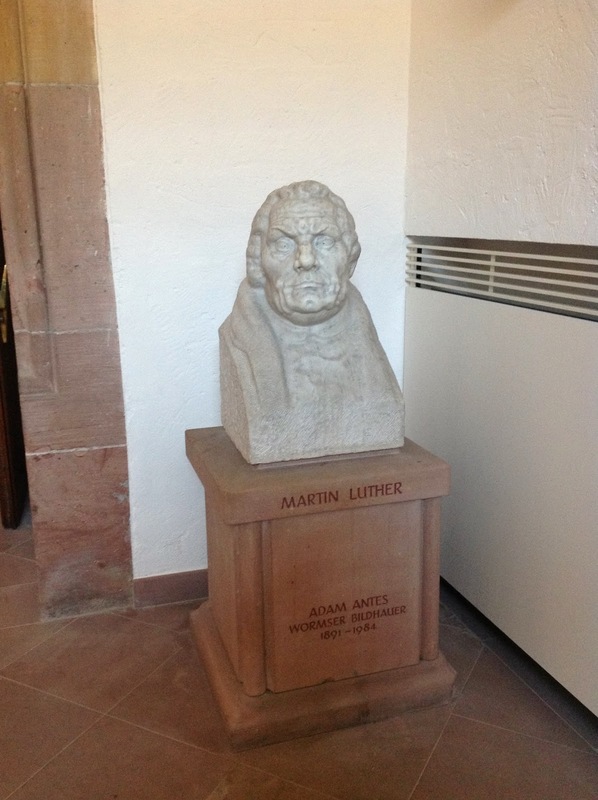 And, in fact, another sign nearby indicated that Luther's defense of his teachings had taken place in a nearby building -- which was destroyed by...you guessed it: Melac. I'm getting out of order here, sorry. 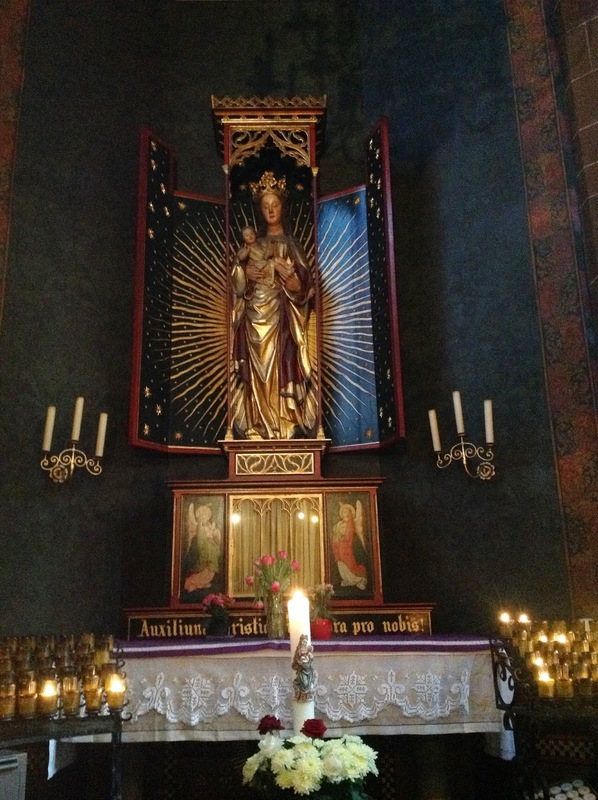 This lovely image of our Lady was in the cathedral. 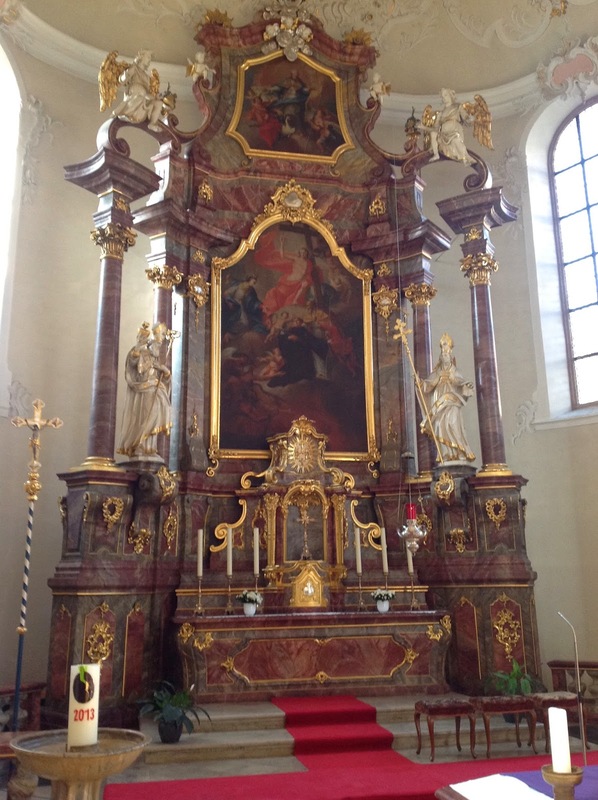 When I sat down to gaze at it -- it dates to the 14th century -- I sensed our Lady urging me to pray my Rosary. So I did. That is an overview of Tuesday, Wednesday and Thursday, and that completes my visit to Germany. Until next time! 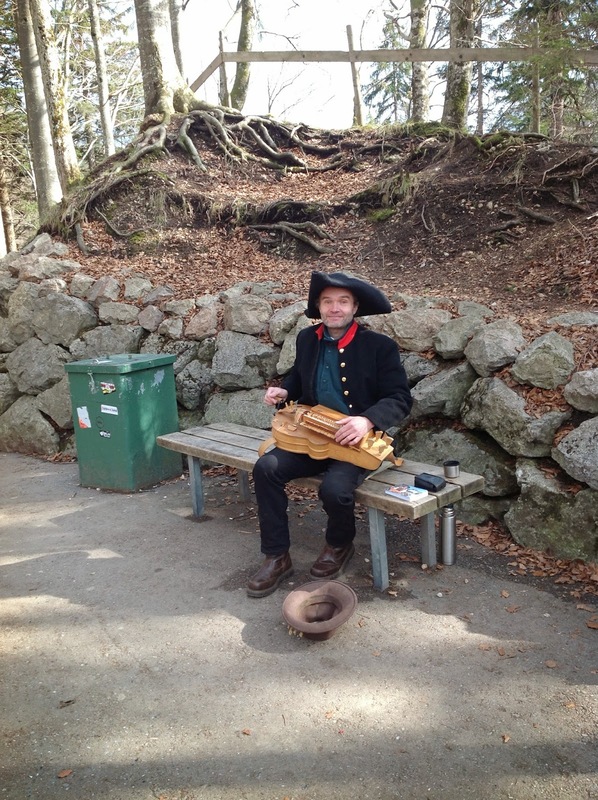 There is an interesting place nearby - Museum of the Bavarian Kings. The museum exposition is reminiscent of the trace, which the Bavarian dynasty left in art and architecture: the Royal Residence in Munich, Pompejanum Villa in Aschaffenburg, Hohenschwangau Castle, Neuschwanstein, Linderhof were built thanks to them.